Macquarie Banking and Financial Services Group chief digital officer, Luis Uguina, considers himself the “chief trouble making officer” of the c-suite. His ultimate responsibility, he says, is to challenge old ways of working and foster a culture that embraces customer experience in its core vision, agility as its mantra, and failure as a step towards success. That’s exactly what Uguina is trying to achieve within Macquarie Group. Arriving in the organisation two years ago initially as digital transformation lead, then promoted to chief digital officer in May, he’s been spearheading a multi-million dollar plan to infuse digital into every aspect of its operations, from product development and innovation to customer experience. 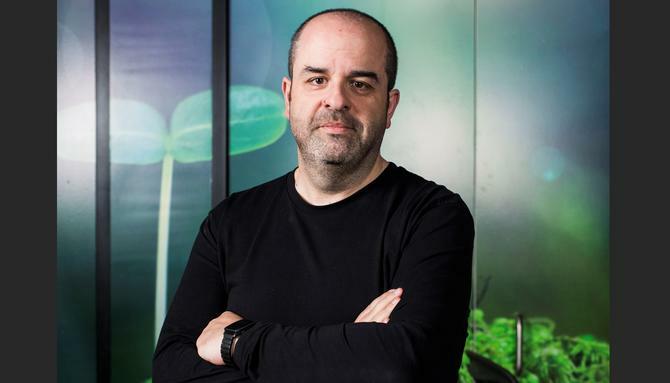 Uguina has been in the digital space since the early 1990s, and worked for BBVA, Banco Santander and Bankinter in Europe and the US, most recently as BBVA’s global technology chief, before relocating to Australia two years ago. “Banks are super keen to explore new opportunities in digital and we need to be extremely adaptive to what the customer wants, which means we need to reinvent ourselves everyday,” he says. For Uguina, digital transformation is ultimately about changing the way you operate. He points to digital disruptors such as Facebook, Spotify, Netflix and Google as shining examples of organisations taking a different approach that extends from the way they come up with ideas, to how they execute around products and services. The overarching vision fuelling Macquarie’s digital ambition is taking the technology, mindset and approach being used by these leading digital companies and bring a similar level of intuitive, personalised experience to banking. And that requires agility and adaptability, Uguina says, who describes the challenge as “working at the speed of now”. “It’s about how you change the culture of the company and the way you see the business, the products, the customer interactions and the customer experience,” he says. “From idea to execution, companies like Google, Facebook and Uber are incredibly fast. Banks traditionally have been slower, not because we want to be slower, but because of regulation and the way you need to deal with the law and complexity of compliance. But we need to be extremely fast with delivery if we want to compete with the new native digital players. Macquarie has taken several significant leaps towards this. For a start, it’s completely rebuilt core systems, deploying a real-time banking engine as well as Cassandra database management technology. “We’ve embraced open source technology to deliver as fast as possible, and we’ve changed the culture of the IT team to see open source as something that can increase innovation and speed,” Uguina says. Simultaneously, Macquarie has been working on culture, reducing team sizes and bringing in cross-functional expertise so smaller groups are more empowered to make decisions. Instead of having isolated silos, teams are cross-functional and enabled to deliver any new product or concept from end-to-end. Physically, the office has also been given a shake-up, with activity-based working and more open, flexible work environments introduced. “Daily scrums and other collaborative ways of working change things too,” Uguina says. Yammer has been rolled out as an internal collaboration tool, and Uguina says everyone, including the CEO, is regularly sharing vision and strategy via the platform. In addition, technology, business, legal and compliance are now a single team. Another part of the cultural transformation required to embrace a digital ecosystem has been learning that failure is an option, Uguina says. This is being made possible by placing an emphasis on iteration using internal and customer co-creation and feedback. One big step forward was extending Macquarie’s beta environment, historically only open to staff, to early adopter customers. The Brainsourcing initiative encourages customers to provide feedback by giving them early access to features long before the wider market can consume them. Marketing, product owners and the business are then reviewing this feedback on a daily basis, ensuring changes customers request are fed into the daily improvement cycle. “The whole team is working in pure Agile methodology, and some teams are moving products into beta daily. This, for a bank, is science fiction,” Uguina claims. “For the first time in my life, I’m working for a company that’s extremely transparent about the things we see. When we launch a new feature, we have good or bad feedback from internal employees, who are the first clients to enjoy and experience a product. We have 3000 people working in BFS, so that’s 1900 potential users of our digital products.